Green is one of the most vivid light colors and one of the most popular for holiday decorating! Green LED Christmas lights are energy efficient, incredibly long lasting and versatile - perfect for a variety of uses and settings. 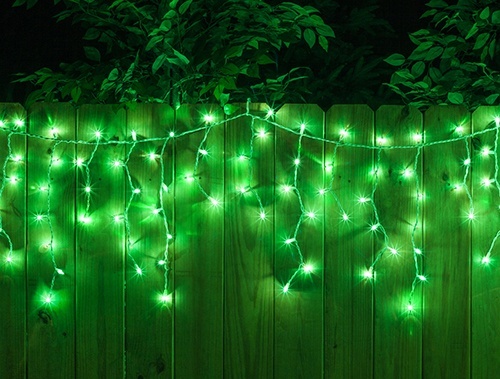 Decorate with Green LED lights during Christmas, Halloween and St. Patrick's Day. Green lights can also be used with other colors to support your favorite sports team or to add a festive glow to indoor and outdoor spaces! 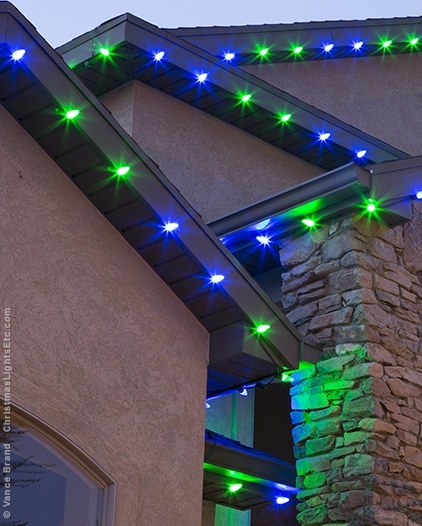 C7 & C9 Green LED Christmas Lights - C7 & C9 Christmas lights are a popular choice for outdoor decorating. Outline the roof of your home with Green C9 LED bulbs and wrap large trees with C7 LEDs. C7 & C9 Green LED lights are also a great option for illuminating walkways. To make your Christmas lights display even more festive, add red bulbs into the mix or create a unique holiday scene by alternating blue and green LED bulbs along the roof and driveway. Green LED Mini Lights - LED mini lights are perfect for indoor and outdoor decorating during the holidays. Wrap trees, wreaths and garland with green LED mini lights during Christmas and St. Patrick's Day. 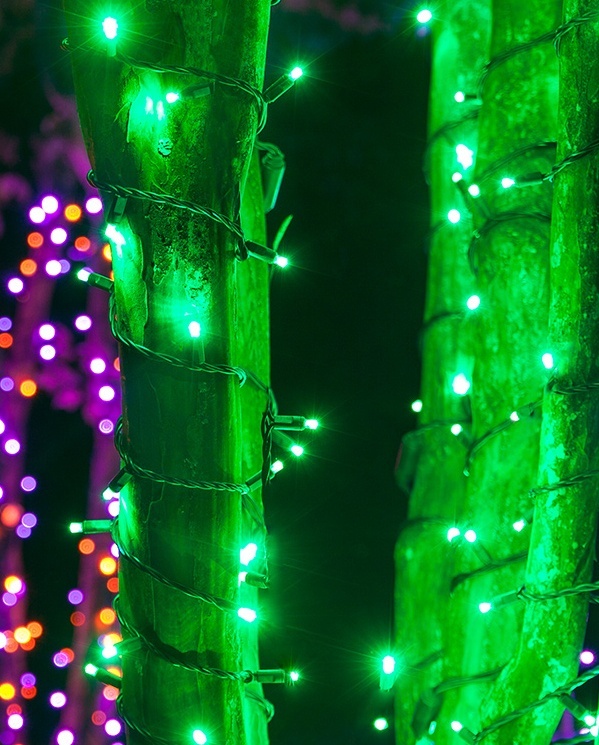 Highlight Halloween decorations with the spooky glow of green mini lights, or create a spellbinding haunted forest by wrapping trees with purple and green LEDs! Green LED Icicle Lights - Hang green LED icicle Christmas lights along the roof, across the porch or fence and down stairways and railings. 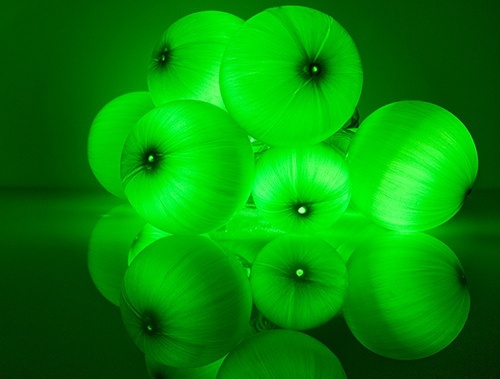 Green LED Net Lights - Have bushes, trees & columns that need to be decorated fast? Net lights have you covered! Green LED net lights are easily installed and can add uniform illumination to your yard in no time. To learn more about net lights, visit our net lights installation guide. Battery Operated Green LED Lights - Green LED battery operated lights are the perfect solution for lighting spaces quickly and without the need for outlets nearby. Use battery operated LED lights to illuminate crafts, easily brighten wreaths, and create a fun glow when placed inside a translucent jar or decorative container.